Visits are by guided tour only. Tours depart from the new Maeshowe Visitor Centre (at Stenness), postcode KW16 3LB. All visits must be booked in advance to guarantee entry. This also applies to Historic Scotland members and Explorer/Orkney Pass holders, but entry is free as normal. 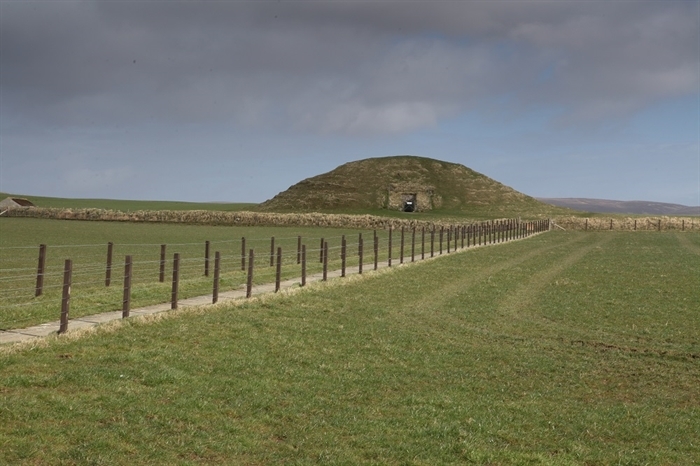 Maeshowe is the finest chambered tomb in north west Europe and is more than 5,000 years old. Viking crusaders broke into the cairn in the 12th century and carved graffiti runes on the walls of the main chamber. Maeshowe is part of the Heart of Neolithic Orkney World Heritage Site, along with Skara Brae, the Ring of Brodgar and the Stones of Stenness. 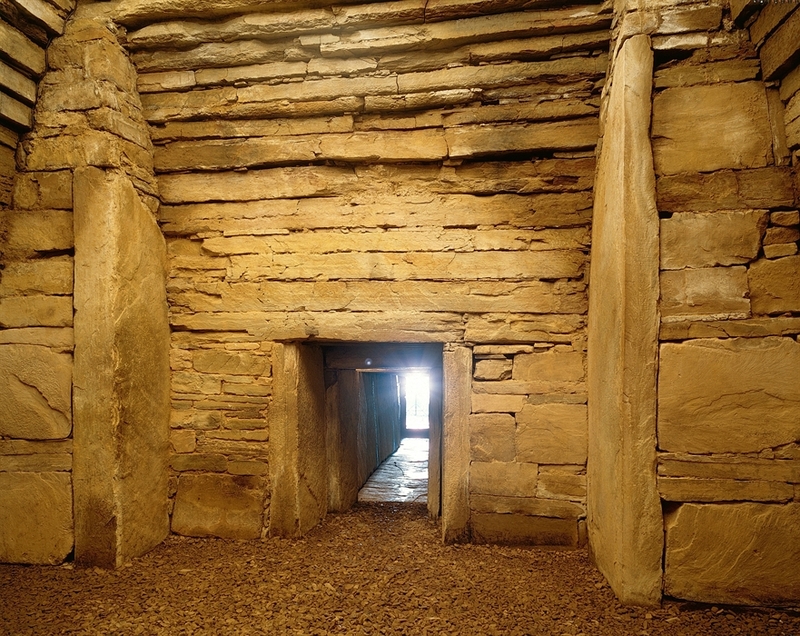 The monumental chambered tomb of Maeshowe is simply the finest Neolithic building in NW Europe. Built around 5,000 years ago, it is a masterpiece of Neolithic design and stonework construction, not least for its use of massive individual stones. Creating such monumental architecture must have presented a major challenge to our remote ancestors, working without the benefit of metal tools or powered machinery. It also clearly represents a tremendous social commitment by them. 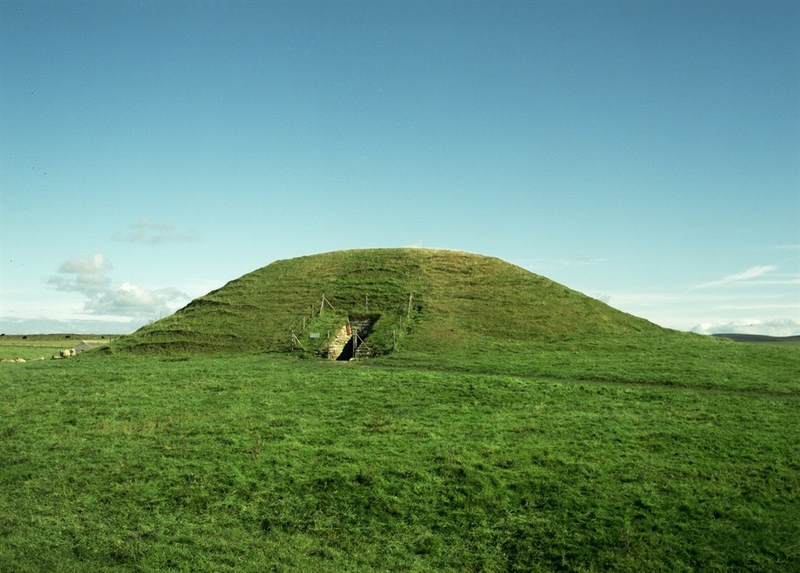 Maeshowe sits in one of the richest Neolithic landscapes in Europe. A place of stone circles, villages and burial monuments, where people lived, worshipped and honoured their dead. Alongside Maeshowe are other incredible survivals from that far-off age, including most notably the Stones of Stenness, the Ring of Brodgar and the village of Skara Brae. This richness was formally recognised in 1999 when these monuments were inscribed upon the World Heritage List as the Heart of Neolithic Orkney World Heritage Site. 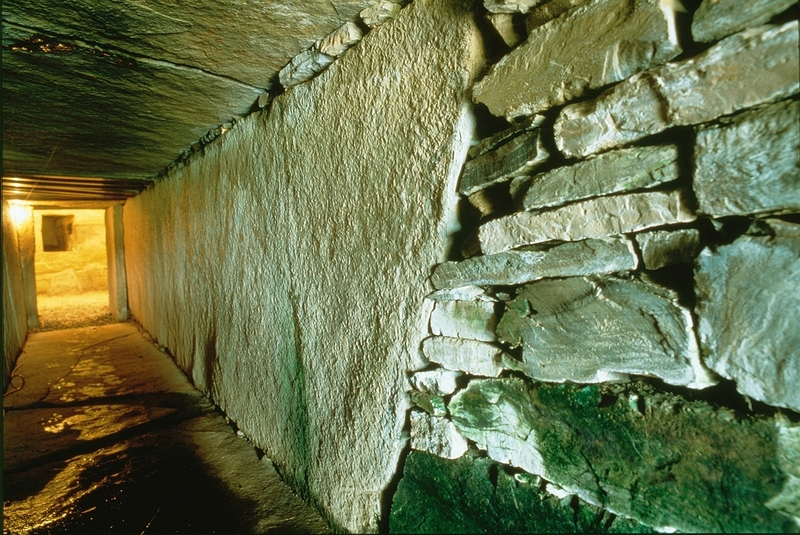 Maeshowe hides its monumentality, for externally it appears just like a large grassy mound. (The word ‘howe’ derives from the Old Norse for a hill.) Only when we enter the single portal and walk stoopingly along its long stone passage and into the central, stone-built chamber do we become overawed by its atmosphere. Behind us only a small glint of light beckons. We feel remote from the outside world. The central chamber is quite small, only 4.7m across, but everything else is monumental. Forming most of each wall of the 10m-long passage is a single, gigantic sandstone slab, weighing anything up to three tonnes. At each corner of the central chamber is a magnificent upright standing stone. And off the central chamber are three side cells, the floors, back walls and ceiling of which are single stone slabs. We know that one time of year was particularly special for the people who used Maeshowe. The gently sloping passage is carefully aligned so that at sunset during the three weeks before and after the shortest day of the year (21 December) the light of the setting sun shines straight down the passage and illuminates the back of the central chamber. The sun’s rays align with a standing stone, the Barnhouse Stone, standing 800m SSW of Maeshowe. It seems that after several hundred years of use as a burial tomb Maeshowe was closed up for good. At least 3,000 years passed before it again attracted attention. This time it was Norsemen – descendants of the Vikings – who broke into the mound, no doubt curious as to what lay within. They also left behind a fascinating legacy, in the light-hearted runic graffiti they carved all over the walls. This graffiti comprises the largest collection of runic inscription that survive outside Scandinavia – a potent reminder that Orkney was under Norwegian rule until 1468. The key to unlocking thousands of years of History at some of the Top Attractions in Orkney. 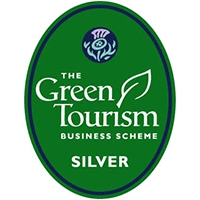 The Orkney Explorer Pass is the ideal way for your clients to enjoy the fantastic heritage offered on Orkney. Visit the 5,000 year old village of Skara Brae and see what life was like in the Stone Age. The Bishop’s Palace is a 12th-century hall-house in Kirkwall. The notorious Patrick Stewart, Earl of Orkney, built the adjacent Earl’s Palace between 1600 and 1607. Surrounded by a warren of Iron Age buildings, the Broch of Gurness probably dates to the 1st century AD. The Brough of Birsay is a Pictish and Norse powerbase with well, replica carvings, ruins of Norse homes and 12th century church. Hackness Martello Tower & Battery is one of a pair of towers built between 1813 and 1815 to provide defence against French and American privateers for British convoys assembling in the sound of Longhope. Due to the number of sites closed over the winter period it is not advisable to buy the Orkney Pass for use between October & March.